During the recent Web Summit held in Dublin, Ireland, we were honored to speak with Internet pioneer Brad Templeton on topics like robot cars (self-driving cars), Internet of Things and on-line surveillance. 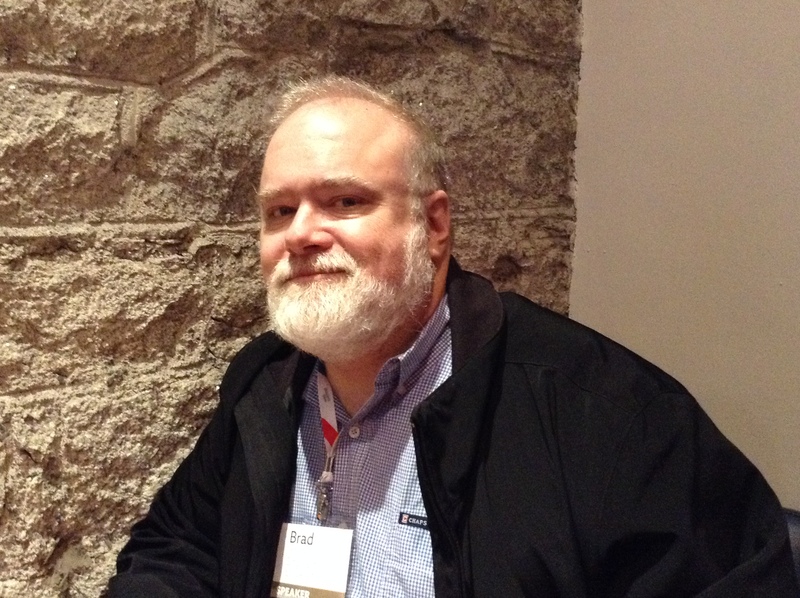 Canadian-born software architect Brad Templeton is active in the network community since late 70’s. He is considered to have been the first to suggest that Internet addresses should be in the form site “dot” top-level-domain. He also founded the first-ever dot-company back in 1989. Currently, living in San Francisco, Templeton is a noted advocate of robot cars, having even advised Google on its driverless car project. This multifaceted entrepreneur is also a Board Member of the Electronic Frontier Foundation, a well-known non-profit organization defending civil liberties in the digital world, Director for the Singularity University, and Board Member of the nanotechnology think tank Foresight Institute. He made two appearances at the Web Summit, the first one on Day 1 to talk to a crowded audience on the Machine Stage, and the second one on Day 2 in a round-table format meeting. After that we met for this interview. P.N. Robocars are one of the most expected technologies nowadays. Can they, in its current state of development, provide solutions for the car industry of today ? B.T. I don’t want to say that the cars are good today as something you can sell to people. Although, there are some people building products, what you call advanced cruise control, but you still have to pay attention, you can take your hands off the steering wheel but still you have to be watching, so that is just a way of relaxing. Some of these technologies sprung out of researches on this, or some of the robocars researches sprung out of researches on building a system called ADAS. The interesting thing happening is a push for cheaper sensor technology, lighter technology, radar technology. All these technologies are getting more people interested in working on manufacturing high-end cars cheaper, which gonna help every kind of car. P.N. How come you got involved with robocars ? 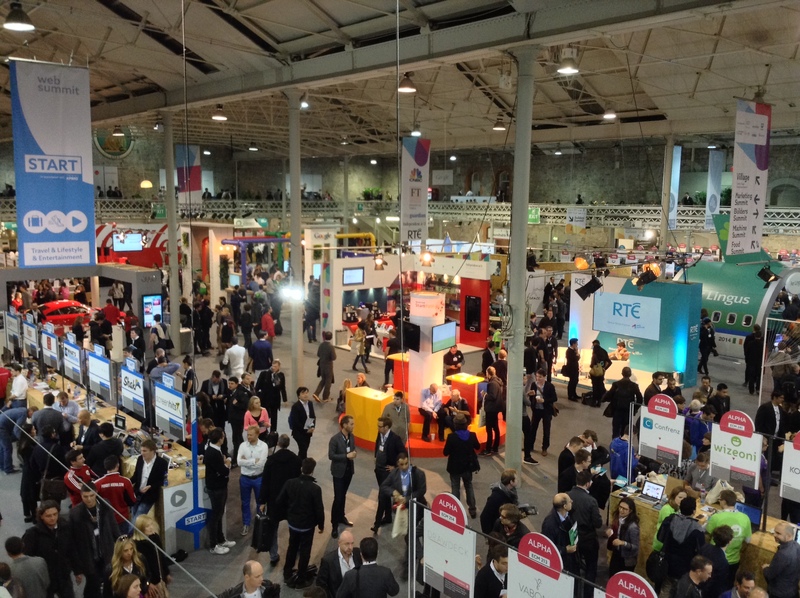 Technology conference Web Summit was held in Dublin from 4th to 6th November, an impressively huge and very well organized tech event, where around 20,000 attendees from more than 100 countries met. During three intense days, we found gathered a great amount of insightful speakers sharing their ideas, enthusiastic startups willing to met investors, as well as countless workshops, roundtables, network sessions, presentation pitches, demos, stands, and also night parties. Actually, the event featured several summits happening at the same time: Builders, Enterprise, Food, Machine, Marketing, Music, Sport, amongst others. The first day, we mainly attended the Machine Summit, where a line-up of noted speakers discussed about topics like the Internet of Things, smart cities, wearables, robotics, 3D printing and human-machine interaction. In the morning, one of the first speakers that impressed us was the interface designer John Underkoffler, pretty widely known for his work as science advisor on SF films like “Iron Man” and “Minority Report”. This MIT Media Lab alumni gave us a visionary glimpse of where human-machine interaction is heading. It looks like definitely you can forget your mouse, keyboard and other devices as 3D space UI is becoming the emerging trend. Oblong Industries, the company where Underkoffler serves as a CEO, has been working since more than a decade to make real the cool gesture-based data interface technology featured in the film “Minority Report”, and they are almost there with G-Speak, an spacial operating environment, whose first commercial application is the conference room solution Mezzanine.